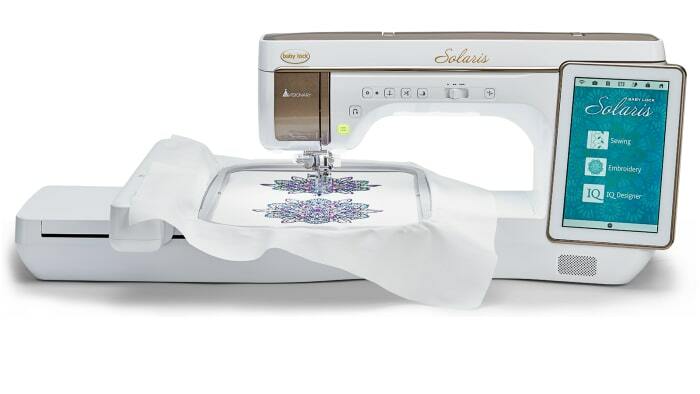 Solaris, Baby Lock's newest innovative machine with the largest throat space and hoop. 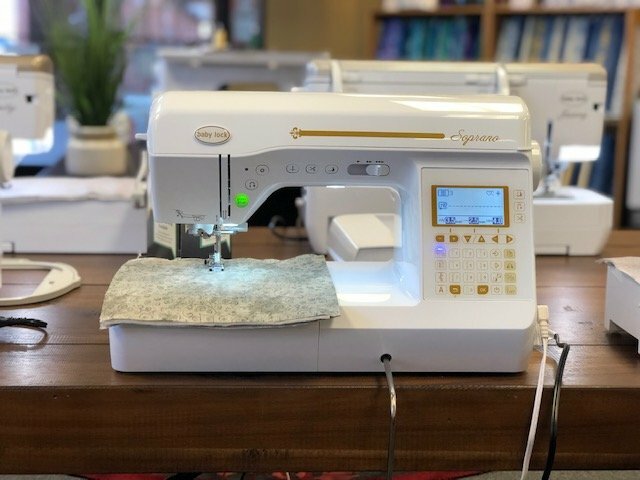 The revolutionary IQ Visionary Technology lets you see how your design will look on your fabric before you stitch it out. 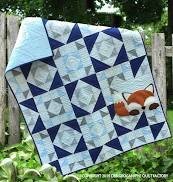 Calla Lily Quilts is proud to have a large variety of children's fabrics and patterns for any age. 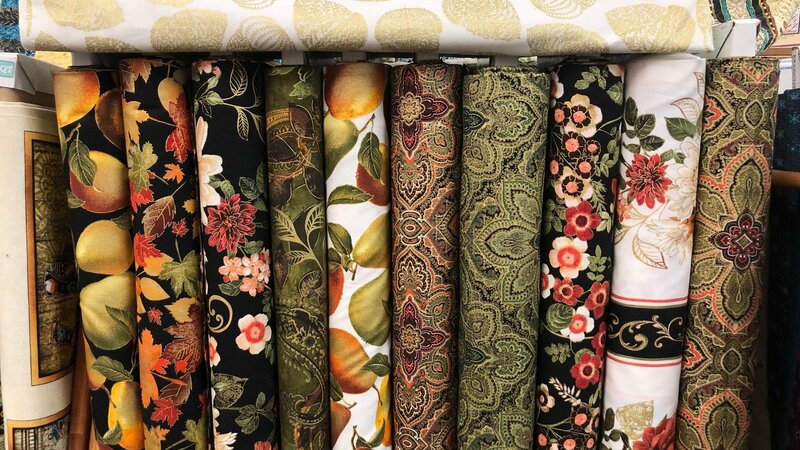 Meet our newest Serger line! 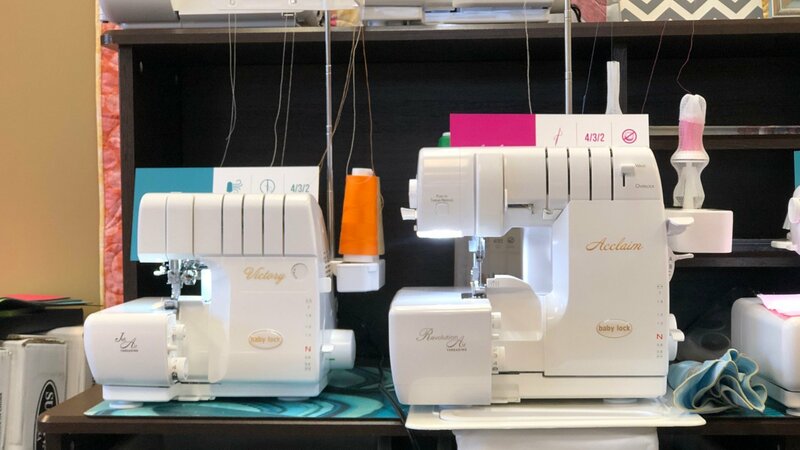 Come try out our newest Serger's on the block and test how amazing they will make your sewing experience. 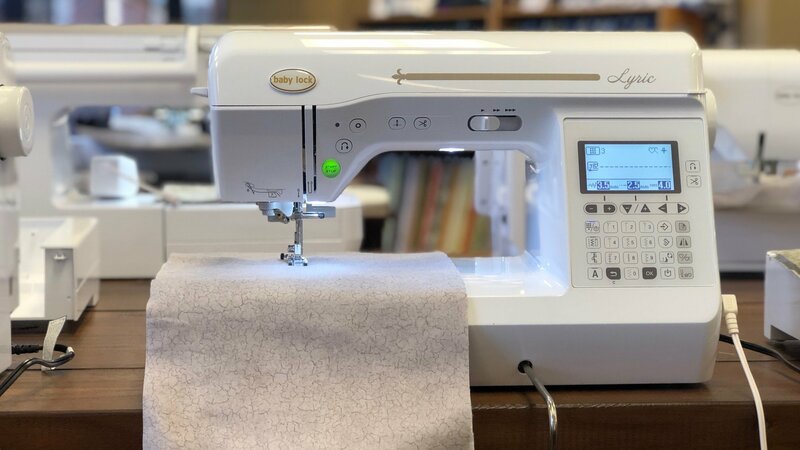 Baby Lock Soprano, LCD Screen, automatic fabric sensor system, advanced pivoting feature, built in stitch memory, 300 built in stitches with an extension table, can take your sewing to the next level. 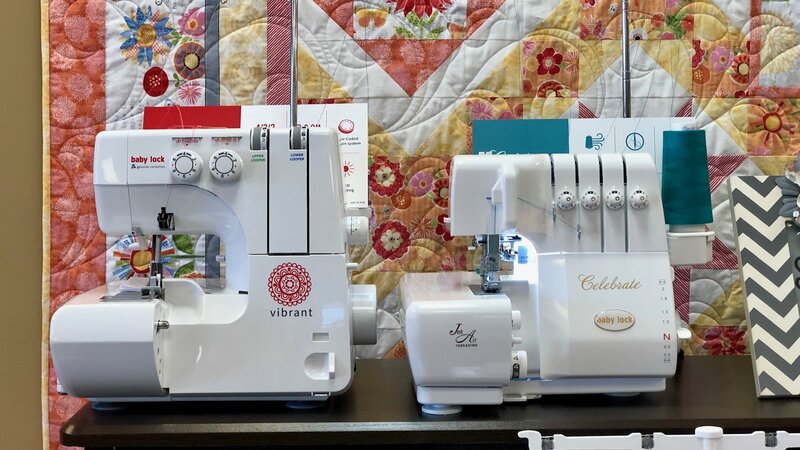 Presto II Quilting and Sewing machine by Baby Lock. The Lyric. 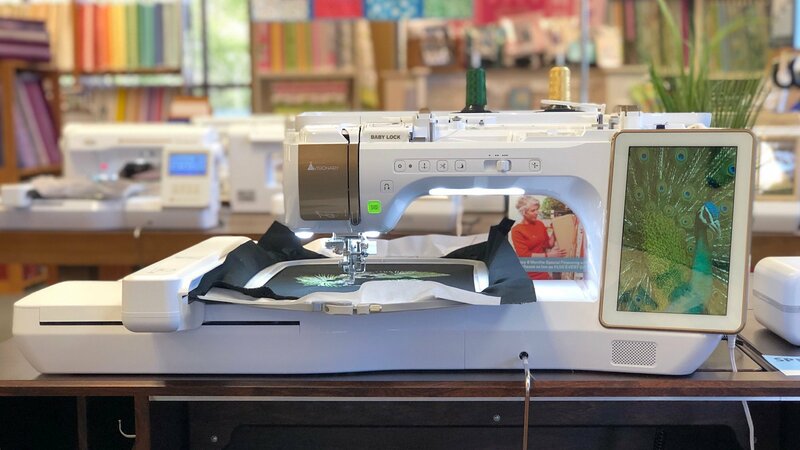 250 built in stitches, LCD screen, knee lift, quilting extension table and advanced needle threader make this a machine to begin your quilt story. 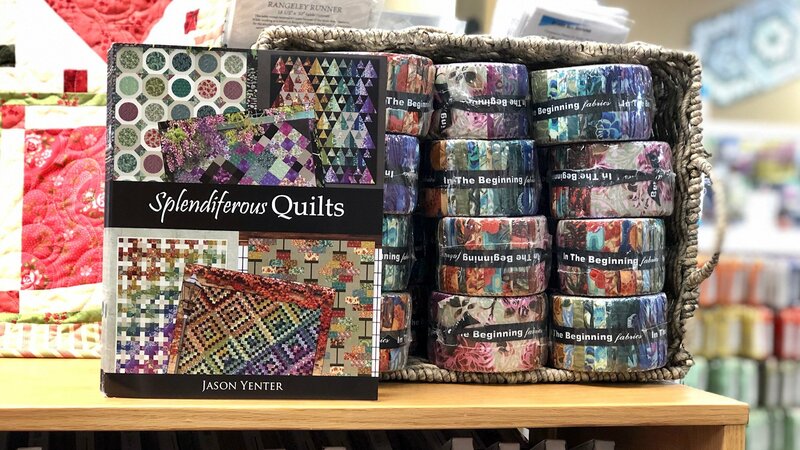 Jason Yenter is back with a beautiful new line. 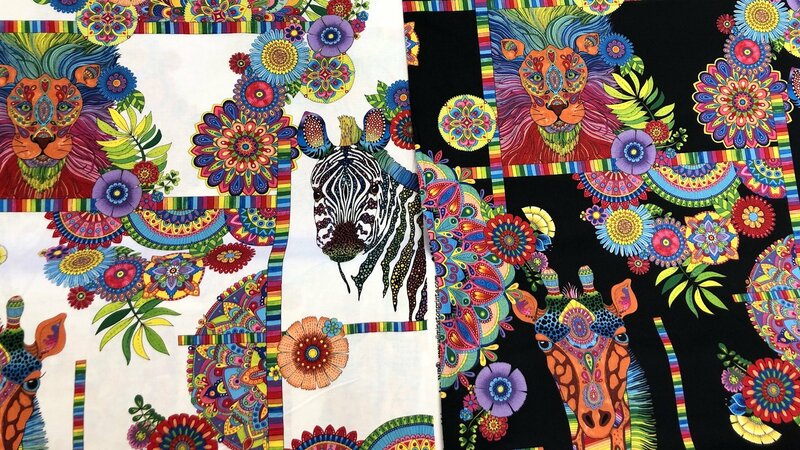 Take a bohemian safari ride with Hello Angel's, Safari So Goodie, by Wilmington Prints. Kanvas Studio's Harvest Gold line. Rich pigmented fabrics accented with gold metallic. 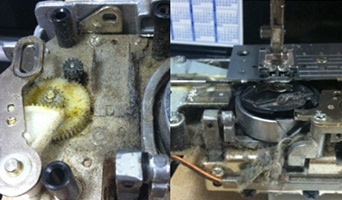 Perfect for the project to be done by summer. 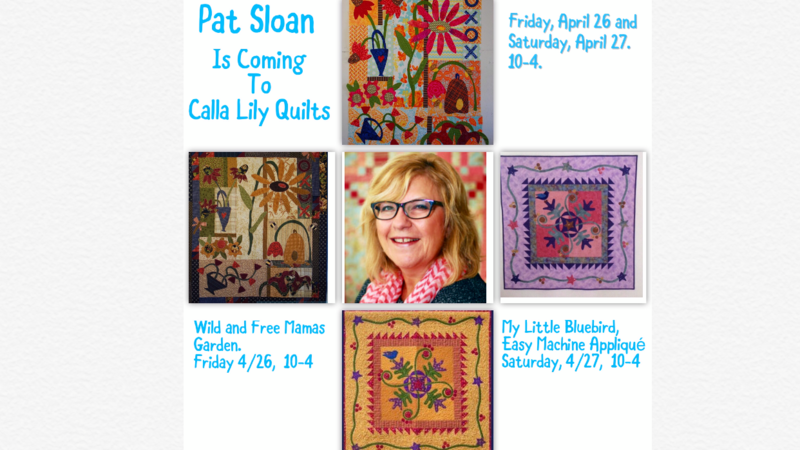 Welcome to Calla Lily Quilts! 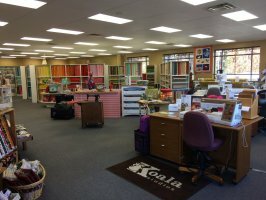 Calla Lily Quilts is a full service quilt shop offering an ever changing selection of premium quality fabrics, along with books, notions, patterns, batting materials, sewing cabinets, and embroidery supplies, to meet the creative needs of both traditional and modern quilters. 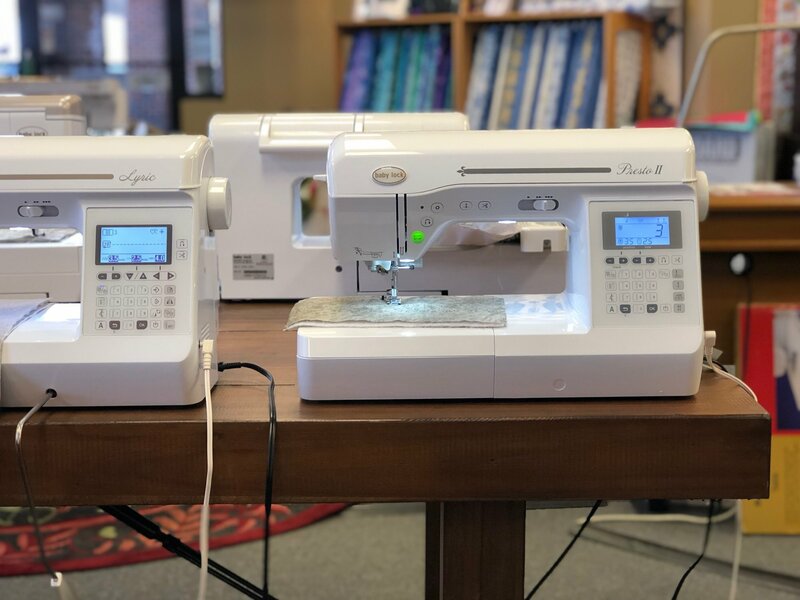 As an authorized dealer for Baby Lock, we carry a full line of sewing, embroidery, and serger machines, in addition to providing guaranteed repair services and thorough machine training. 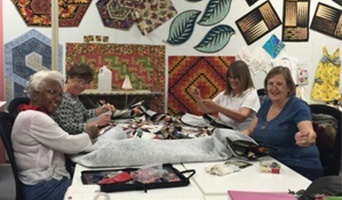 For your convenience, we also offer professional longarm services to help you finish your quilting projects. 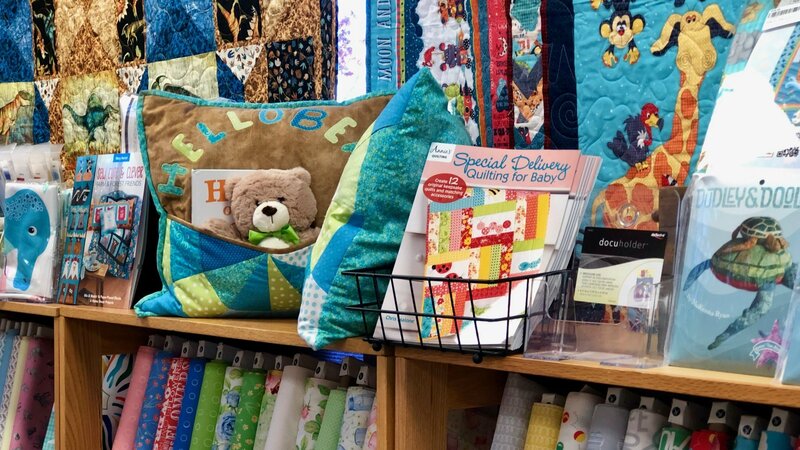 Located in Greensboro, NC, our store features a welcoming and supportive environment where we host a wide range of classes for quilters of all skill levels. 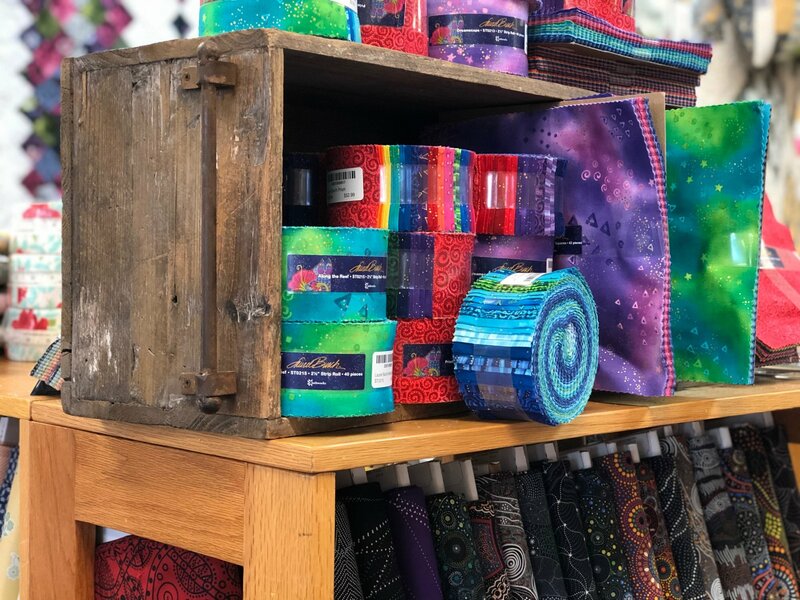 When you need help, our friendly team of staff members is always happy to answer your questions, offer knowledgeable product advice, and treat you to personalized service throughout your quilting journey!